Mobile messaging is expecting a major breakthrough in 2016 as more industries recognize the value of SMS and the many capabilities that come along with it. In particular, experts are expecting significant growth in the IT and security industries, where many businesses have already adopted mobile messaging with great results. When you think about it, the connection between mobile messaging and the IT and security industries is a natural one. IT and security firms are always in the lead when it comes to adopting and implementing progressive technologies, so it makes sense that they’d be the first to use SMS in effective ways. Currently, the adoption of mobile messaging allows for businesses to gain a competitive advantage. In the future, it’ll simply be the standard. By getting a head start at the beginning of 2016, not only can you enjoy the competitive advantage now, but you’ll also be better prepared for the future. 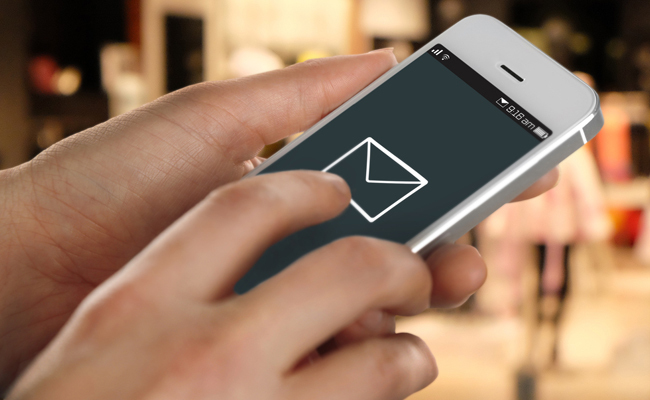 The number one factor behind the success of mobile messaging is its simplicity. Text messages are incredibly easy to send and receive, which makes the technology ideal for connecting with a wide variety of people (who all have varying levels of technology fluency). There’s no delay in the sending or receiving of SMS or MMS. They can be sent as quickly as your fingers can type the messages. This distinguishes mobile messaging from other forms of communication that typically come with some type of wait. There’s no denying the fact that we live in an automated business world. Any task that’s done manually is seen as a waste of time. Well, the good news is that – with the right platform behind it – SMS can be entirely automated. Two-way/group communication. SMS allows for seamless two-way communication. This versatility means that you can send a single message to a single user, specific messages to different groups, or one message to everyone on your list. Better yet, the end user can then respond to these messages. Under the right circumstances, this can make communication effortless. Existing infrastructure. The good news is that SMS infrastructure is already in place. You don’t have to implement a ton of new technology to leverage mobile messaging. The majority of the population owns a smartphone – and 97 percent of these owners use SMS. As you can see, mobile messaging isn’t limited to a single benefit. When properly implemented and used, it can give your organization the competitive advantage that it needs to thrive in a crowded marketplace. And, while mobile messaging encompasses a number of different technologies, SMS and MMS are two of the most important in the current IT and security landscape. Let’s take a look at the specific reasons why these technologies are in such high demand by checking out a handful of the top ways they’re being used in the industry. One of the more popular uses of SMS in the IT and security world is two-factor authentication. While it’s been used for years, the popularity of this technology has grown ever since Twitter implemented it after more than 250,000 accounts were hacked in 2013. Two-factor authentication is fairly simple, yet extremely effective. Think of it as an additional layer of security for your network users. Instead of simply requiring users to log in using an ID and password, two-factor authentication sends a special code to the user’s cell phone and asks them then to enter this code to gain access to their account. This prevents unwanted users from logging in and compromising a network or account. While SMS is effective inside an organization, many IT and security companies are also finding it to be a helpful tool for highly personalized lead generation. By asking possible targets and existing customers to opt-in to your SMS list, you can then send them custom follow up messages, information on sales, and anything else that you deem appropriate. It’s a very useful way of staying in touch with customers via a device that they likely carry with them at all times. In the IT and security world, it’s imperative that you keep a progressive brand image and perception. It’s hard to do this when you’re limited by archaic technologies of decades past. By investing in mobile messaging, IT and security companies are able to position themselves as being on the cutting edge of technology – something that positively impacts their ability retain and attract customers. The business world is constantly evolving. This means that you’re losing market share if you aren’t moving forward. And, while there are unique trends across different industries, one of the more pervasive trends – as it pertains to technology – involves the growth of mobile messaging. This is particularly relevant when you look at the IT and security industries, where mobile technology is being leveraged in numerous ways. We at OpenMarket are known as one of the leading providers of mobile messaging solutions for modern enterprises. Whether you operate in IT and security, customer service, sales, marketing, or any industry in between, we’d love to help you improve both employee and customer relations through our state of the art Mobile Engagement Platform. Contact us today to find out why four of the top ten global brands are currently using our SaaS-based mobile messaging solutions to engage their customers and employees. We’d love to point you in the right direction by answering any questions that you may have.